Did you know that there is a National Pancake Week? How about National Oatmeal Month or Cheese Doodle Day? It’s true. Apparently there is a food (or several) recognized nationally for just about every single month, week and day of the year. Crazy right?! Yeah I still can’t wrap my brain around it.. you could start an entire blog just about observing the food holidays..(if you do that please let me know and tell your fans where you got the genius idea! lol). What’s even harder for me to imagine is that there is not an official holiday to celebrate dips! What? I know! Everyone loves dips, how could this be overlooked!! Therefore I am declaring this National Dip Week! Unofficially of course, because apparently these things are approved by the President himself. 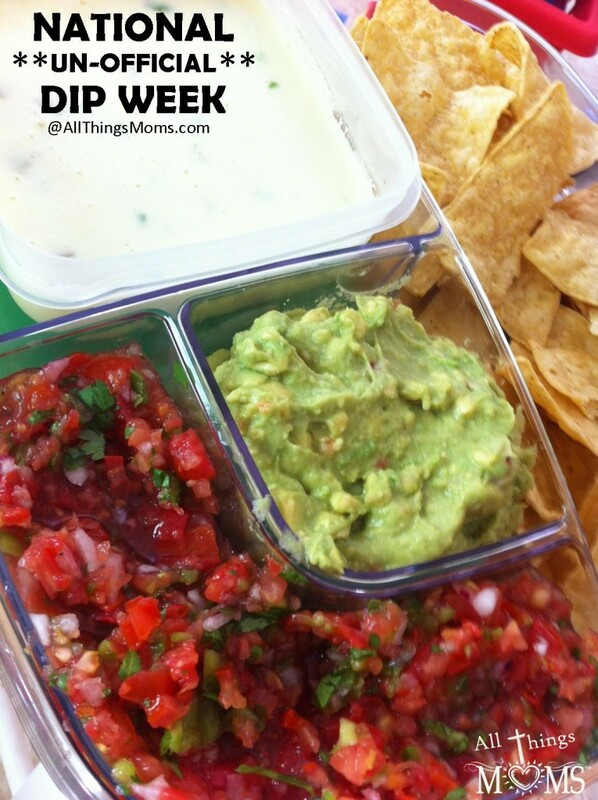 So, for chip and dip lovers everywhere- enjoy! You’re probably noticing a theme here, but I told you I LOVE mexican food! Plus, these are great recipes that all your friends will love so they’ll be great for upcoming Super Bowl parties! Now, doesn’t this sound better than celebrating hot pastrami sandwiches today? I thought so too but check back on July 25th for National Hot Sundae Day- that’s a holiday I can get behind! For a full list of National Food Holidays you can check out this site or google National Food Holiday.